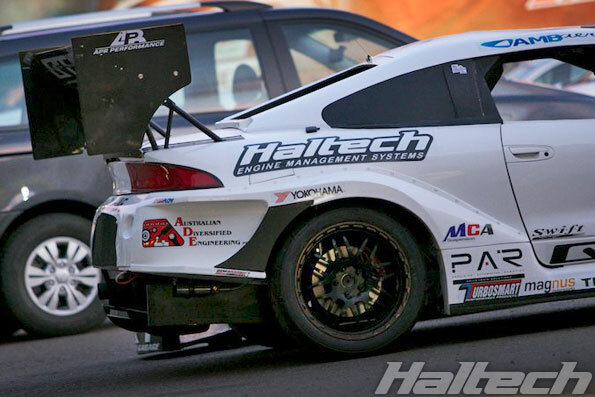 We arrived at the 2014 World Time Attack Challenge with high expectations. 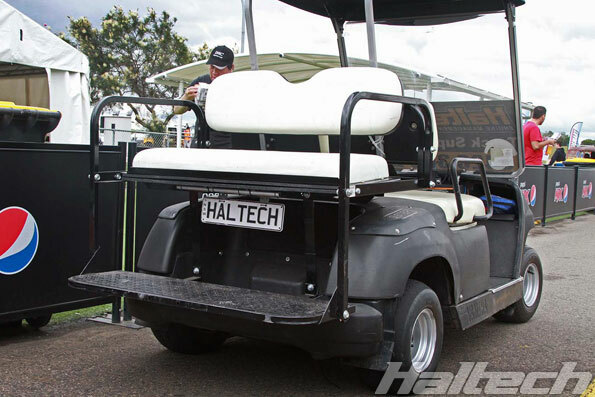 Not only was this to be the venue of our official Elite launch, it was also testing grounds for the Haltech products. 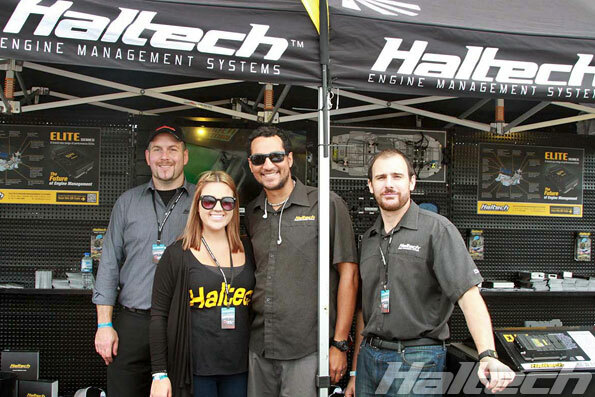 What happened over the next two days exceeded our expectations as Haltech ECUs dominated both on and off the track! 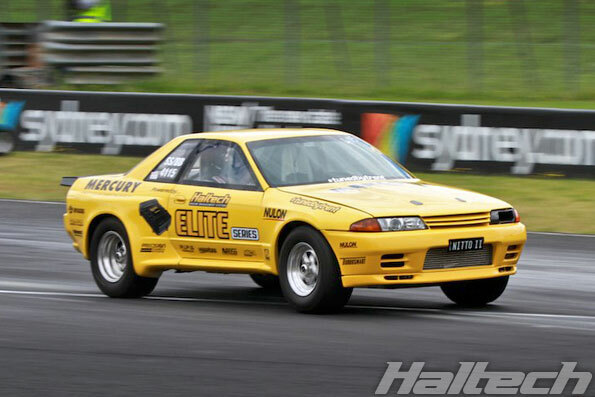 The Open Class proved to be an all-Haltech shootout with Dean Lillie piloting Steve Ka’s R34 GTR to victory, just ahead of Denis Resi’s R32 GTR. 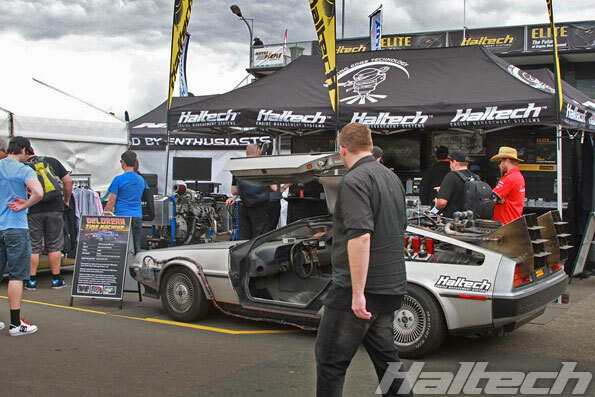 Both cars equipped with the new Haltech Elite. 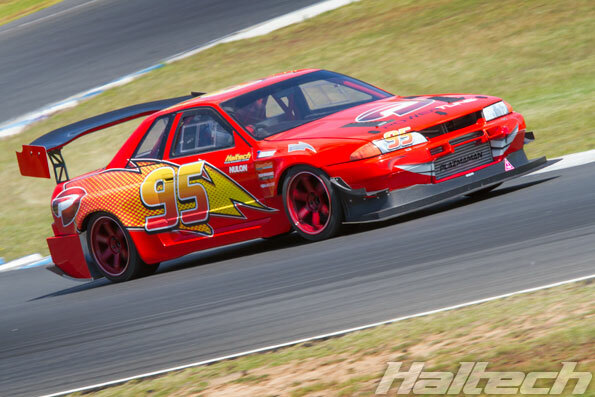 Denis Resi’s Lightning McQueen themed R32 was leading the class at the end of Day 1 but Dean Lillie pushed Steve Ka’s R34 just a little bit harder in the Superlap Shootout giving it the class honours. 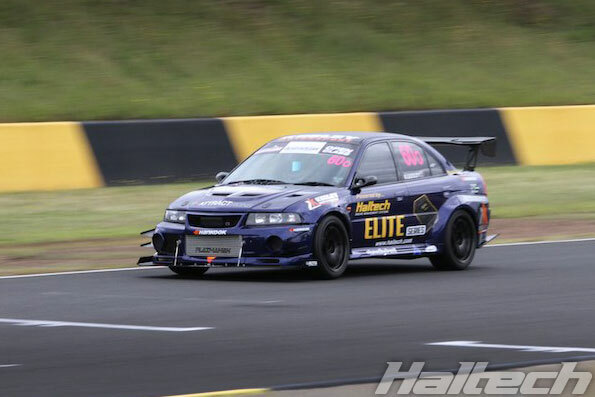 Third place went to RTR Mitsubishi Evo X driven by time attack veteran John Boston giving Haltech a 1-2-3 finish in the Open Class! 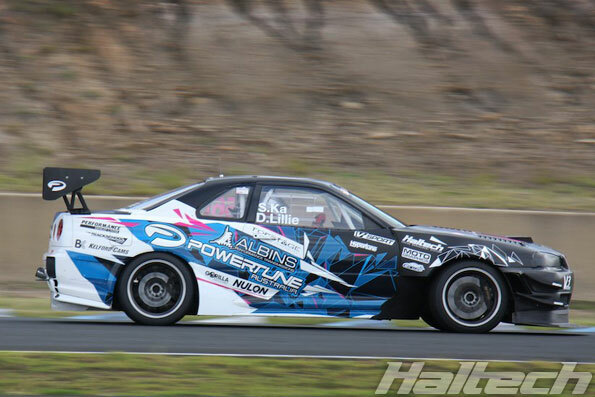 101 Motorsport’s Mighty Mouse was the fastest naturally aspirated car at the event and 4th fastest in the Pro Am Class. 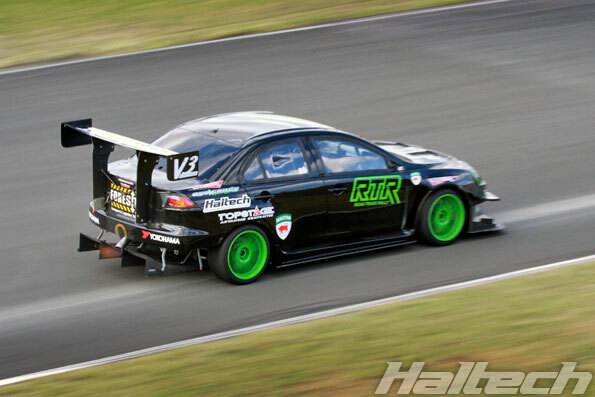 This little pocket rocket has quite a following amongst Honda fans and is also powered by a Haltech ECU. AMB Aero Eclipse shaved almost five seconds off their last year PB in the capable hands of Jack Le Brocq. 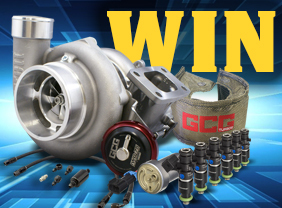 Rob Gooley improved 1.1 second over his last year’s lap time. 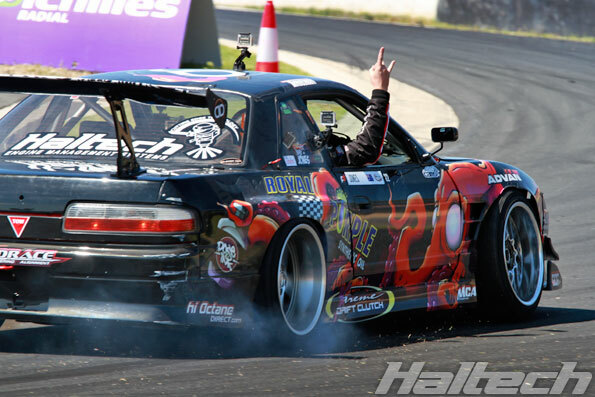 Trent Whyte dominated the Flying 500 with the Mercury Motorsports’ Nissan R32 GTR. 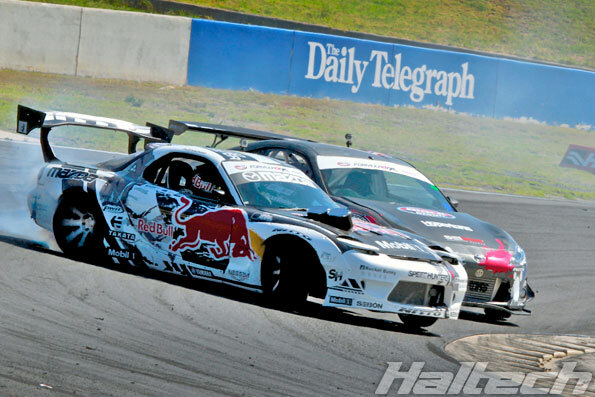 On the drift circuit, “Mad” Mike Whiddett and Jake “Drift Squid” Jones flew the Haltech flag during the Formula Drift Australia. Our own Nathan Clark lead the Prep’d Motorsport Legends out onto the track in his DeLorean Time Machine. Of course no racing event is complete without grid girls and this year Hals Angels debuted their new outfits much to the delight of all spectators.